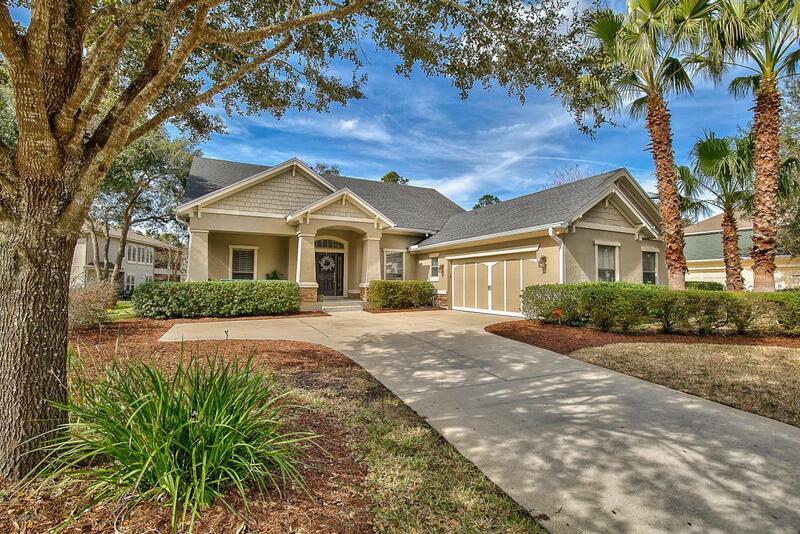 Golf Course Home in desirable St Johns Golf & Country Club offers plenty of room inside and out! 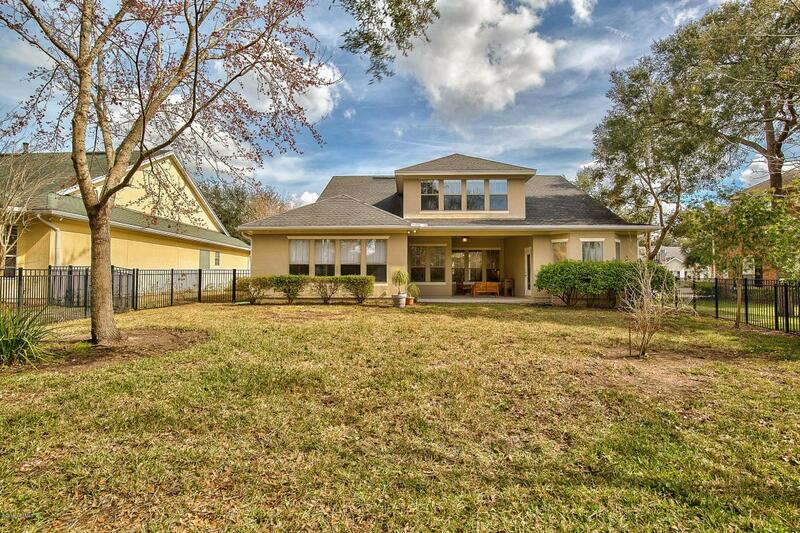 3265 SqFt home on cul-de-sac, sits on 9th hole and features 4BR plus HUGE Bonus (5BR), 3 Baths, and a small study/office. 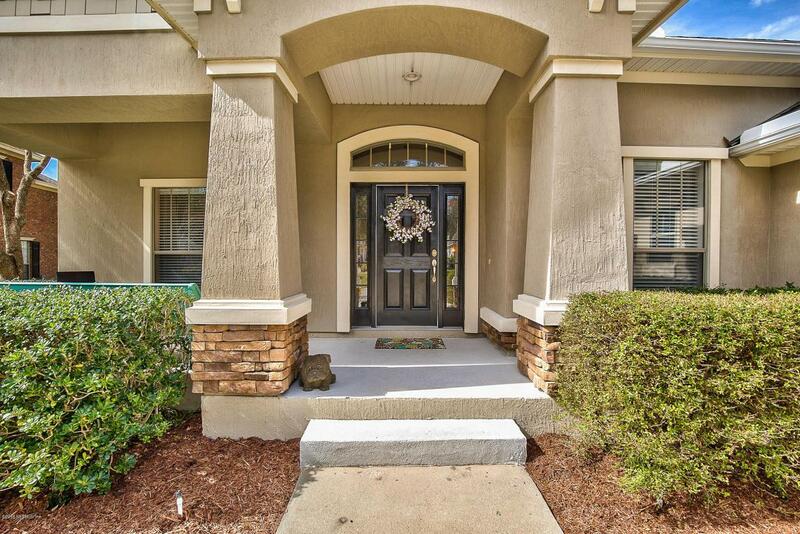 Kitchen features 42'' dark wood cabinets & granite countertops; hardwood floors in Master, LR & FM, custom window shades, courtyard garage & large backyard. SJGCC is a golf-cart friendly master-planned community with golf, tennis, Olympic pool w/ slides, fitness center, playground, new splash park (under construction), sports fields, basketball courts, clubhouse with Bar & Grill, Food Truck Fridays and more...all amenities are walking distance from this home. 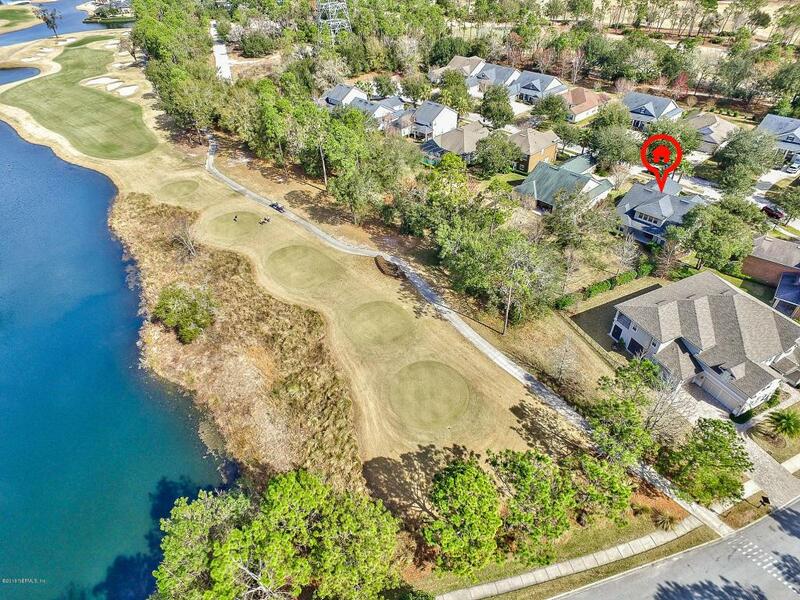 Zoned to top rated St John County Schools, K-8 Liberty Pines and Bartram Trail H.S.Don't Golf? Golf Course provides community with abundance of green space! Dining room Chandelier does not convey (family heirloom).